episode 91 – she thought she wouldn’t like it but, listener, she did! Welcome back lovelies! There is lots of news in this episode. So grab a WIP, a drink and settle in for the next half an hour, or so! Jamieson and Smith are hosting a Bousta Beanie KAL from now until the run up to Shetland Wool Week. Check out their Ravelry group for info. Blacker Yarns are relaunching some of their patterns in a new collection and are hosting a KAL next month. Join their Ravelry group for further info! Northern Yarn are getting a B&M shop! The grand opening is on Saturday 2nd September and the shops is at 74 Penny Street, Lancaster. If you can make it, do go for the grand opening for discount, new yarn and a sock surgery with Christine Perry! Even more, if somewhat cryptic new – Donna Smith has a new website and there is something awfully exciting coming from her soon. You really need to sign up to her newsletter to be first to hear about it – but it is going to give you the grabby hands, for sure! Blacker have been hinting in social media of this year’s birthday yarn and swatches are beginning to appear! 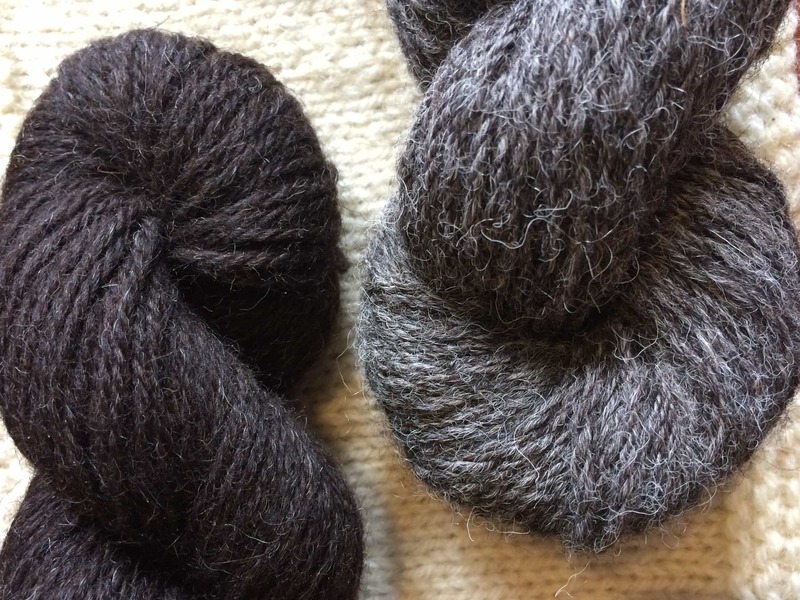 I’m going to tell you more about this yarn next time, as Blacker have given some review yarn to some of our muckers, but I do discuss a little about the fibre content. Bowmont is a breed that was developed by the Macaulay Institute in the 90s to create an upland breed that would produce a fine fleece. Some Bowmont fleece can be as low as 16-18 microns. 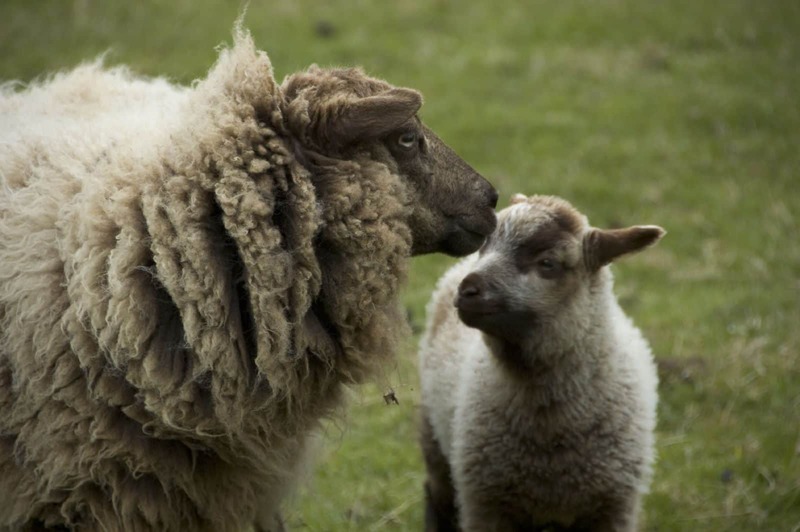 Much of the fleece from the flocks that remain go into the luxury clothing industry, but there are small flocks throughout Scotland and when you see this breed in yarn form, that is something special and precious indeed. In Brushwork, the Scottish Bowmont is mixed with 10% Castlemilk Moorit and 20% alpaca to create a sport weight yarn. It is a very so lovely and I just know you will be eagerly anticipating its release. This yarn will go on sale at 8 am on the 28th September. More next time! You may have seen that we posted our first Wovember post the other week and this is a call to action for you, lovely listeners and Wovember fans. The theme for 2017 is about wool and the myriad ways in which wool can contribute towards, and promote, wellness. You may have heard the term ‘wellness’ attributed to health care or in association with self-care and we are also interested in an expanded definition of the term. We are talking about how wool can contribute to mental and physical wellness of the self; wellness of the environment; the land, the community and agriculture. We want you to write about how wool, sheep, yarn, crafting or wool-work contribute to wellness for you. Any project in which wool is being applied to benefit the health of individuals, landscapes or communities counts and we plan on sharing a post a day FROM YOU throughout Wovember. Essentially, you can write about any way in which you feel wool is positive and life-affirming for you, your community, environment, landscape, etc. All of the info you need, the rules and how to send wovember your post are found by clicking this link. I know that this will be resonating with lots of you out there and many of you have a short (350 words) post in you. 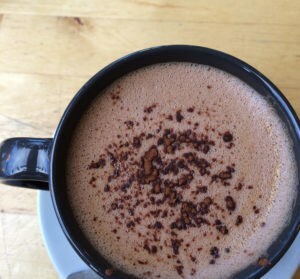 We’ve had some wonderful posts already and we’d really love one for every day of Wovember. When I was at Woolfest I called by the Wensleydale Longwool Sheep Shop stall and Kath showed off their new Marl aran and asked if I would like to review a ball! The yarn comprised of dyed strands twisted with natural black Wensleydale. In a nutshell this lovely longwool yarn is airy and squidgy in the ball. It creates a knit fabric which is lustrous, but with a delicious halo of very soft fibres. The resulting fabric has structure, but also a heavy, silken drape. I can see this yarn being popular. It is limited edition at the moment. This was due to the amount of natural black wensleydale there was at the time of the spin. Kath told me thought that this was a firm favourite that they will hopefully be repeating. Feel of washed blocked sample: bloomed, softened even more. Pronounced halo. whispery against arm skin. 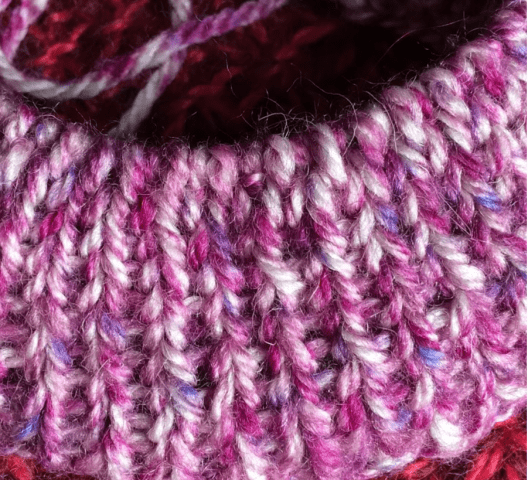 Best suited to: hats, mitts, cowls and garments that need structure. Cabling would be lovely, as long as the marl doesn’t interfere with the design. 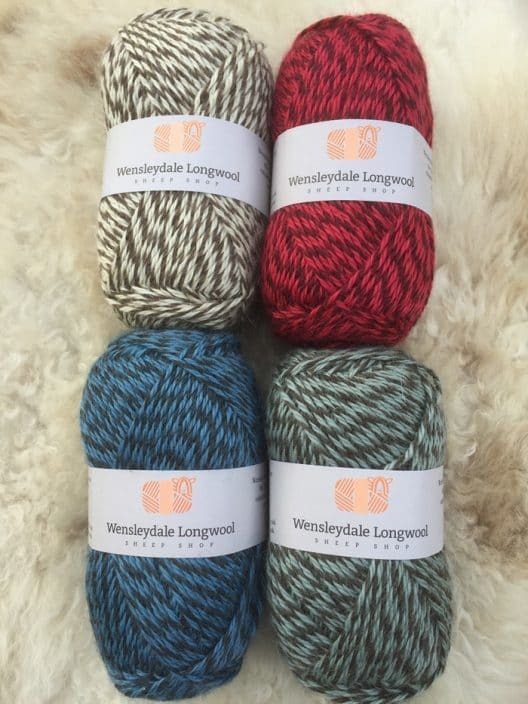 Visit wensleydalelongwool.co.uk for more info. Thanks Kath for giving me a ball to try out. Isla has some rather new and lovely items in the shop! She has the new 12 shades of Blacker Gotland AND Britsilk from the Knitting Goddess…look at the glistening lovelies! But there is something else too! This is The Croft: Shetland Tweed, a new aran from WYS. It is a Shetland wool from Shetland and is created in association with Jamieson and Smith. 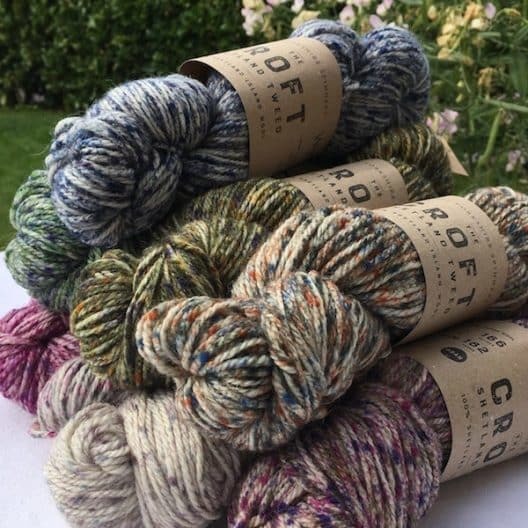 I really like how the speckles look like woolly neps and do look tweedy (its generally the dappling of hand dyed speckles I dislike, and the large amounts of undyed or white yarn that, for some reason, often accompany speckles). AND I do love this yarn! If you have ever thought that Shetland wool from Shetland is just too crisp for you, then this will utterly change your mind. I am still devoted to jumperweight and the rustic Shetland, but this will be awesome for SO MANY THINGS! It is going to be a very versatile yarn for your needs and will really surprise lots of you, I think, as it has surprised me! There are eight shades, all named after areas in Shetland. The labels are cracking and clear and at £8.40 per skein I reckon you will want to grab them in all shades! 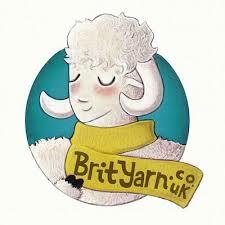 Get on over to Brityarn for a look. I will revisit this yarn next time, as I want to look at how it washes, blocks and wears! Thank you Isla, for letting me have a play with this! 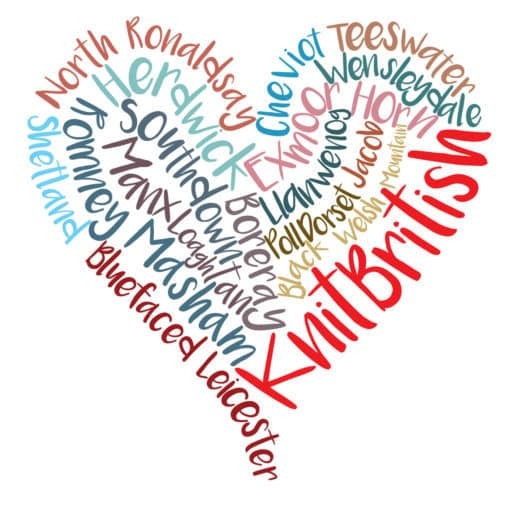 Isla is offering KnitBritish listeners a very special offer! Use code LOVEKNITBRITISH at the checkout at brityarn.co.uk and you can get 10% off! This code can be used until 22nd September. You will be utterly spoiled for choice! Thank you so much, Isla. In the few weeks that I’ve taken a break from the show I’ve been doing some forward planning. I have a new job! I realise that I don’t talk about my job/s and much of my private life on the podcast – in fact its a pretty conscious decision cos, well, its not wool-related and it’s not relevant to the show. However for some time I’ve been looking for a full time job and now I have one, and I start on Monday! This will mean a few changes and some of which will impact on our schedule. There will be admin things, but the main difference is that I will be going back to a monthly show. I know there are some of you who have been asking for a weekly show, but that was never something I would do (I do think that weekly shows sap your life and can lose a bit of quality!) and I know that some of you will miss the two show format, but I am really looking forward to going back to the monthly show. I loved how that worked with my schedule and I loved the focus I could give a longer, monthly show. I have TONNES already planned, in addition to our usual news, reviews and interviews and community fun. There will still be Podcast Lounge at EYF and all that Jazz. There may be other things that I step back from, but in terms of this show a monthly episode will, in no way, leave you shortchanged. There will be more news of this too and next time I will also talk about our 100 episode celebrations too! I hope this doesn’t leave anyone too disappointed and you are still able to enjoy and share your enjoyment of our show. Thanks so much for listening and thank you SO much for recent reviews – these are just lovely and I really appreciate the time you take to do these. 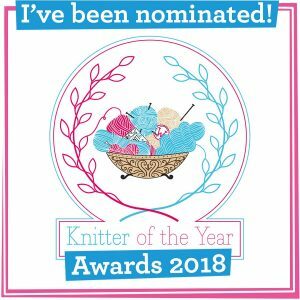 The podcast is back on 8th September and next month we shall have more of the usual fun – Jess from Ginger Twist has news for you, we will have another very generous discount from a lovely yarnie, we will have those Brushwork reviews and heaps more! Happy knitting and catch up soon! Music: Carefree by Kevin McLeod and Singin’ in The Rain (demo) by David Mumford – Both are on FreeMusicArchive and are both shared under Creative Commons Attribution license. Images are copyright to those attributed in the caption or in the accompanying information, otherwise they are mine! Both the Wensleydale and the Croft wools were given to me free, for an honest review. Best for luck for your new job. I for one don’t mind the podcast coming out monthly because you usually offer so much to explore within a single episode to easily last a month. Thank you very much for that. Since I’ve started listening to your podcast I’ve learned so much about yarn, sheep and knitting and it’s really improved my knitting. I’ve grown to appreciate British yarn a lot even though I live in Switzerland. Plus I finally managed to get my iPad to cooperate and let me leave an iTunes review on your podcast :). Good Luck in your new job, I hope that it goes well. Its lovely to hear that you will still be running the podcast, I will continue to look forward to each episode. Your new job sounds really good; I can appreciate how your life will feel more structured and organized. Of course you need to make a living. Your podcasts are simply wonderful and I look forward to your blog! I agree with Lea that I have learned so much from you. You always inspire me! Enjoy your new job. We are lucky to have you share your thoughts on the podcast. Listening monthly will be just fine. Thanks for all you do for us Louise. Congratulations on your new job! Best wishes. I for one am happy to hear from you whenever you can do the podcast. You give so much to everyone and you work so hard on making these podcasts that we, your audience, are thankful to you and all you have taught and shared.